Note: Originally published in CMO.com, August 7. 2017. Remember Web 1.0? Remember when, unless you were a serious renegade in the mid-1990s, any mention of http, HTML, or browsers meant you were the outlier in your organization? For those of you under 40, know that it was a tough row to hoe to be a digital leader. Clearly, times have changed. I call those times, in the mid-1990s, the “black & white TV era” of the internet. Everything was new and mind-expanding yet also very nostalgic when you think about how simple it all was compared with today. Large enterprises are more responsive to mass disruption now than they were in the ’90s, in part because they witnessed from the sidelines the first digital revolution that gave birth to Amazon, Expedia, Facebook, and others by defending their traditional turfs. Well, according to Union Square Ventures’ prolific blogger/investor Fred Wilson, now blockchain is coming, and companies seem to be curiously anxious this time around, knowing they can’t wait forever for a new technical rift to shake the (finally more solid) foundation of their digital strategies. The blockchain is a way to structure data and the foundation of cryptocurrencies like Bitcoin. This coding breakthrough—which consists of concatenated blocks of transactions—allows competitors, suppliers, and buyers to share a digital ledger across a network of computers without need for a central authority. No single party has the power to tamper with the records: The math keeps everyone honest. New blockchain-based companies are raising funds to start these businesses through the same technology, calling them Initial Coin Offerings (ICOs). The SEC only recently took up the issue and declared that some ICOs are securities governed by its rules. There is much to be written and understood about the underlying technology, but for digital leaders now is the time to start understanding this new tech paradigm. While it may take three to five years to see wider adoption, a number of uses already are appearing in the marketing realm. • Transactional upgrades for programmatic media: In terms of a gap between problem and solution, few industries are as challenged today as the digital media business. Issues from third-party measurement and ad fraud to viewability and fake news sites have the industry in need of better tools to legitimize the spend. Over the next 18 to 24 months, companies such as AdEx (for video), RebelAI (for programmatic), NYIAX (for digital “futures”), MadHive (OTT and Advanced TV) and Ownage (in game currency and marketplace) will use the permanence and decentralized benefits of blockchain to make digital media as well-lit a place to do business as the traditional TV and print sectors. Maybe more so. 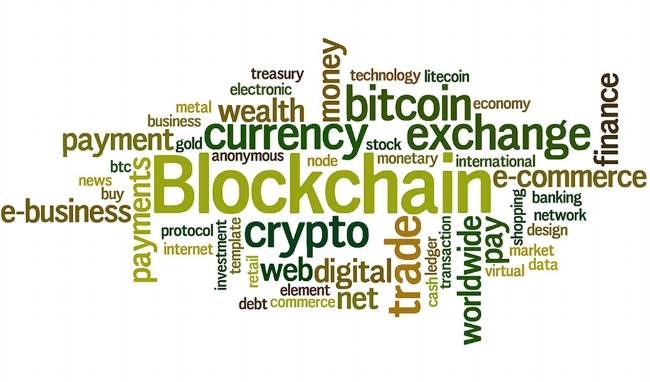 • More secure identity management and third-party data purchasing: Privacy bombs will continue to plague businesses, but blockchain could put a layer of protection on future data breaches. Here, companies such as Civic Technologiesprovide secure, robust identity management. When it comes to buying data to inform media purchases, Comcast is developing tools for first-party data-matching that provides an airtight layer between the data used for targeting and the media placements it impacts. Meantime, WOLK has created a bitcoin-based token that can be used to buy consumer data for targeting from third- party providers. • Airtight digital rights protection: Content owners have bemoaned the ease at which near-perfect digital duplication can be made of media and creative. For example, a 3-D printable model of Disney’s Baby Groot (a character from “Guardians of the Galaxy”) has been downloaded over 6 million times, with no record of royalties to pay. Look for organizations such as Musicoin, which connects musicians directly with buyers, and Binded, which helps manage copyright for creative ownership of digital assets, to start to appear. Binded already has over 300,000 copyrights documented and protected worldwide using this system of verification supported by technical and business leaders from Google, Microsoft, and Vimeo. • New content concepts that legitimize sources and pay the average user:Akasha is a decentralized, censor-free social media network for sharing news, information, and opinions to others outside the network. This Ethereum-based network gives users a validated and referenceable source for their posts. Similarly, Steemit is like Reddit, where the community gets paid to post and comment. The power of the community is paid in Steem currencies, but the power and value will come from remaining within the community. And in an unusual twist, companies such as Augur are helping monetize what are called “prediction markets,” which help to create forecasting models. People place bets on outcomes, much like elections or winners of awards, and get paid based on how right they are (building off of the “Wisdom of Crowds” concept). • Better commercialization of the sharing economy: Paying for hard goods such as groceries and books are well-managed by credit card and large retailers. But as the sharing economy has grown, a great use case for using blockchain payments to “deliver” services and receive payment has emerged. Slock.it is a currency and platform to support universal sharing that is now a part of our society. It allows people to find, pay, accept, and use digital assets or to use digital keys to access physical objects or services, such as renting rooms on Airbnb or renting a personal vehicle via Getaround. On the personal skills front, you could hire your next scientist through Colony, which enables individuals to contribute their skills–programming, design, strategy, etc.–using the company as their connective tissue and payment mechanism. Much more is on the horizon, with a lot more companies poised to rise and fall on the sword of blockchain development. But for those of us who remember the “black and white TV” days of the web, this will be a thrilling mix of victories, failures, and changes that will make today’s digital environment seem simplistic in comparison. Aug 21 Can Artificial Intelligence Restore Humanity In Marketing?